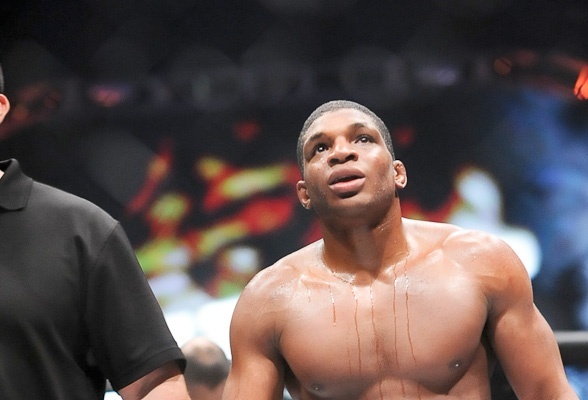 After he lost his temper and decked Koscheck down, it was lucky for Paul Daley to fight again in the US. Brent Medley gave the Nottingham, England native a chance to show off his striking skills again. Paul Daley has been added to the Shark Fights 13 Line-up on September 11 at the Amarillo Civic Center Coliseum in Amarillo, Texas. According to Brent Medley, Shark Fights President, opponent for the heavy-handed British is being finalized. Daley has signed to Shark Fights for one fight in accordance to the promotion’s standard contract. Daley was one of the favorite fighters in the UK scene until he was picked for the co-promoted EliteXC Strikeforce event in 2007. Two years after, he gained notice in the UFC welterweight division after a back-to-back knock out against Martin Kampann and Dustin Hazelett.